Starting in 2018, high school mathematics diploma exams will once again require students to show their work. This portion of the exam was removed in 2010 by the previous government as a cost-saving measure. Alberta Education will also introduce a non-calculator portion to the Grade 9 Mathematics Provincial Achievement Test. 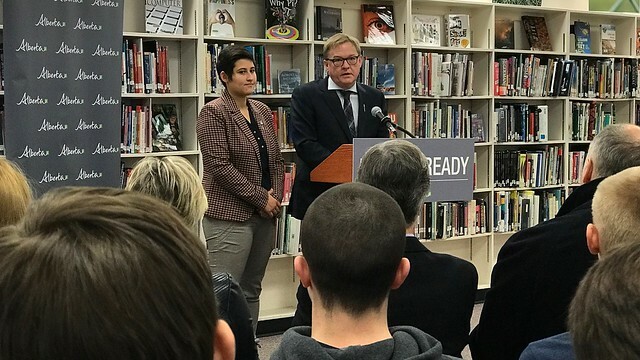 Teachers will soon have access to up to $2,000 to help cover tuition costs for post-secondary courses designed to strengthen their knowledge, skill and confidence in teaching mathematics. Details of the program are being finalized. Alberta Education will allocate at least $2 million toward these actions through its existing budget. Some of the actions taken by government were recommended by the Math Curriculum Review Working Group, a group of post-secondary and high school instructors who offered to assist government with studying how best to support the teaching of mathematics. The group held a series of discussions with key education partners and studied available research and data. Their final report, including six recommendations for action, was released Dec. 6. "We approached government and offered to analyze the current math curriculum and available supports for teachers. Our group is pleased to see government adopt some of our recommendations in the short term and hope others will help spur a larger conversation about mathematics instruction in our province." The initiatives announced come as new scores from the Programme for International Student Assessment (PISA) saw a downward trend in mathematics scores among Alberta students. Students scored the highest in Canada in reading and science. The results come from exams written in May 2015.